Gain deep insights into queries in Google BigQuery including billed GBs, latency, and errors.Monitor and detect slow Google BigQuery queries, and identify inefficient queries and operations. Provide the best experience for BigQuery users by getting ahead of issues and by being hands-on. Why Use the Sumo Logic App for Google BigQuery? By Integrating directly with Google Stackdriver Sumo Logic provides real-time observability for your Google BigQuery log data. 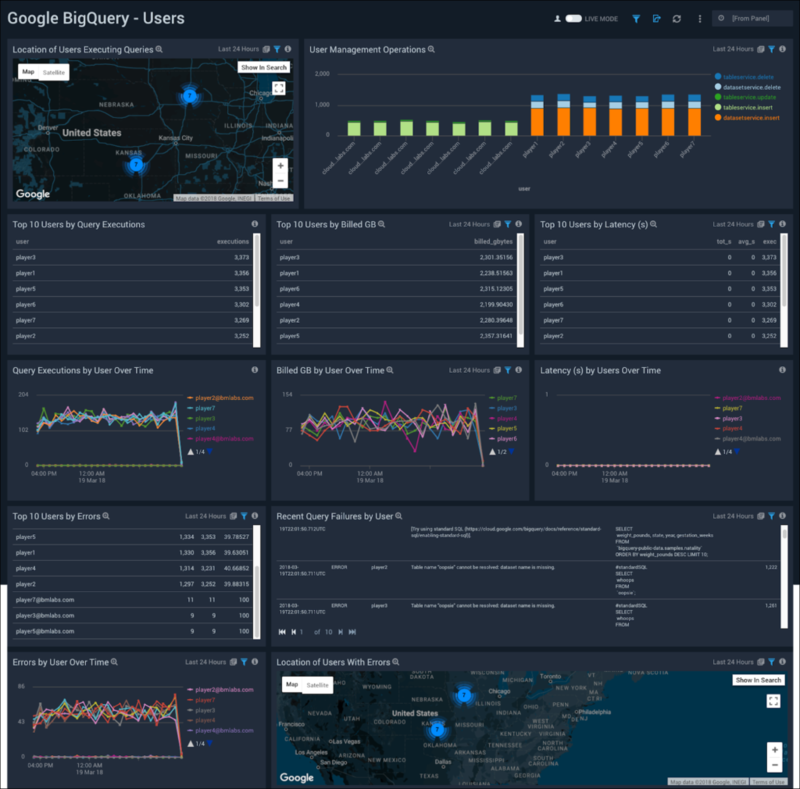 With the Sumo Logic app for Google BigQuery, gain real-time insights and analytics into your BigQuery data warehouse through interactive, customizable dashboards. Also look for unusual traffic patterns and suspicious activity with outlier detection. BigQuery Management- Easily tracks the health across your Google BigQuery data warehouse. 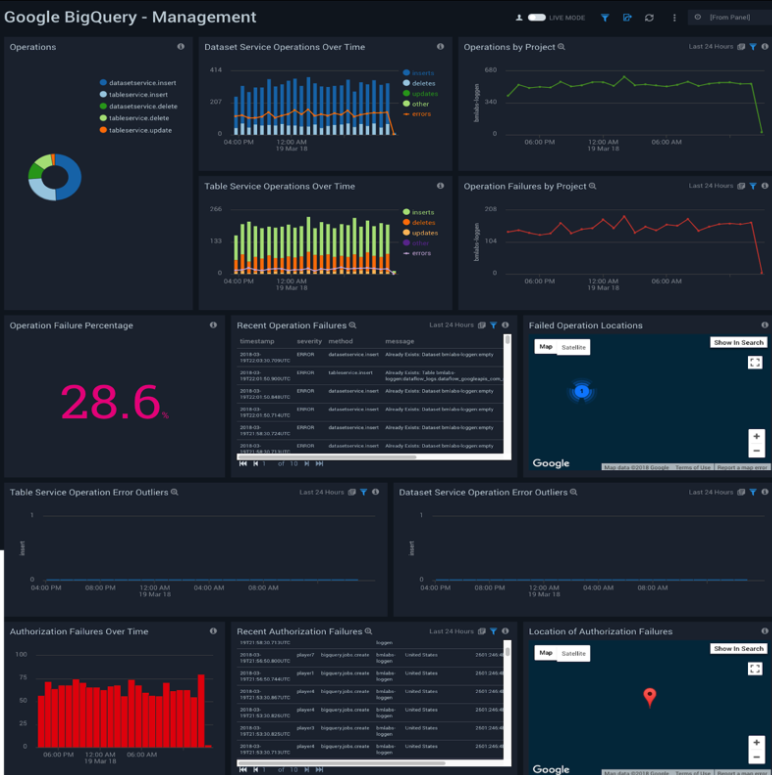 The Sumo Logic app for Google BigQuery allows you to monitor a wide range of BigQuery events and activities, including: Operations breakdown, Dataset service and table service operations over time, Operations and operations failures by project, location, and over time, ,Authorization failures over time and by location. Errors over time, type of query and location.